Celebrity Stylist To The Stars! Melessa's Weave Palace has two great locations and handles all aspects of hair weaving, hair extensions, hair restoration and much more. All of our weaves are performed in a comfortable private setting and no hair is too short! Melessa's Weave Palace also specializes in custom wigs and full front lace wig application, along with makeup artistry and consulting. 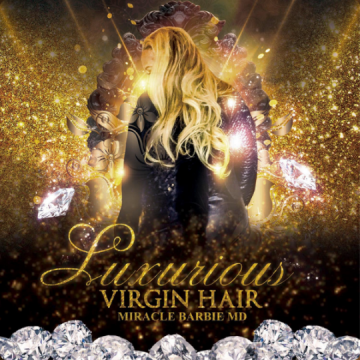 Looking for the highest quality hair on the market? You have come to the right place! Our 100% Virgin Indian, Brazilian, Persian or Malaysian hair is available to you at reasonable prices. Call today to schedule an appointment with one of our expert stylists. WE ALSO SELL BRAZILIAN, PERSIAN or MALAYSIAN HAIR available to you at a reasonable price. We Treat Male and Female Hair and Multi-Cultural Hair As Well! TREAT YOUR HAIR LIKE ROYALTY EVERY TIME! Copyright © 2019 Melessa's Weave Palace, all rights reserved.